Agile has become a very popular word, but in spite of that popularity, the software industry has not witnessed the transformation that we had hoped for in the early 2000s. Even though some of the practices have become widely accepted and successfully applied, I still see most organisations adopting agile ideas superficially and with at best temporary, local improvement. Although much larger forces drive this phenomenon, I have learned by trying how to describe agile ideas in ways that compel even my more skeptical clients and colleagues to give the practices a try. In this talk, I will share with you the most effective ways I've found so far to introduce agile concepts to my clients and colleagues. 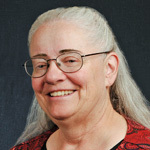 Mary is a popular writer and speaker, and coauthor of the book Lean Software Development, which was awarded the Software Development Productivity Award in 2004. A sequel, Implementing Lean Software Development, was published in 2006. A third book, Leading Lean Software Development, was published in November 2009. The problem is not fixed price contracts. The problem is fixed scope contracts. Contracts for legal services and marketing services do not have “scope.” Contracts for engineering services and even software maintenance services do not have “scope.” But for some reason, contracts for software development services are usually accompanied by a long list of features and functions to be delivered – and this is called “scope.” What we need is a short list of problems to be solved, instead of bad amateur design of their solutions. Agile contracts leave solution design to software engineers and control projects through the regular delivery of measurable value. Mary Poppendieck will discuss software development as a design and delivery service, and the contracts which support a professional approach to software engineering. 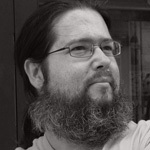 Jurgen Appelo is a writer, speaker, trainer, entrepreneur, illustrator, developer, manager, blogger, reader, dreamer, leader, freethinker, and… Dutch guy. Since 2008 Jurgen writes a popular blog at www.noop.nl, which deals with development management, software engineering, business improvement, personal development, and complexity theory. He is the author of the book Management 3.0: Leading Agile Developers, Developing Agile Leaders, which describes the role of the manager in agile organizations. He is also a speaker, being regularly invited to talk at business seminars and conferences around the world. 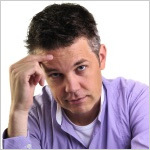 After studying Software Engineering at the Delft University of Technology, and earning his Master’s degree in 1994, Jurgen Appelo has busied himself starting up and leading a variety of Dutch businesses, always in the position of team leader, manager, or executive. Jurgen has experience in leading a horde of 100 software developers, development managers, project managers, business consultants, quality managers, service managers, and kangaroos, some of which he hired accidentally. This session is about Change Management 3.0. It is a new change management “super model” which views organizations as complex adaptive systems and social networks. The Change Management 3.0 supermodel wraps various existing models (PDCA, ADKAR, Adoption Curve and The 5 I's). It lists a few dozen hard questions that can help people in their attempts to change the behaviors of other people in an organization and beyond. No matter whether you are a manager, Scrum Master, Product Owner, software developer or writer, anyone will find it useful to know how to change the world around them.